Royal Oak auto owners don't need to filter their fuel because it has lots of grit in it; they need to filter it because it has some grit it in. Any dirt is bad for your engine. The cleaner the fuel, the better your vehicle engine will run. 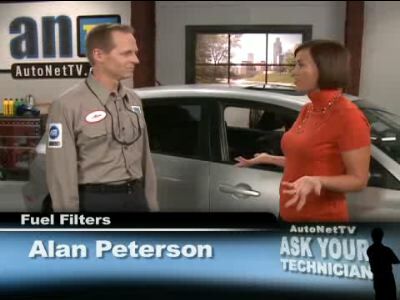 The harder your fuel filter works, the more often it needs to be replaced. Check with your owner's manual to find out how often it should be serviced and how long you can expect it to last. Royal Oak drivers should change it before it becomes clogged. Your friendly and knowledgeable TLC Custom Exhaust Brakes & Tires service advisor can help you with recommended fuel filter replacement schedules. Good vehicle care means following recommended schedules for preventive maintenance, including changing your fuel filters. Take the auto advice offered in every owner's manual and have your vehicle regularly inspected at TLC Custom Exhaust Brakes & Tires. It may save Royal Oak auto owners money by preventing costly repairs, but it will also repay them in improved safety and peace of mind.